I grew up in a suburb to Stockholm, where me and my brothers would wrestle over who was allowed to use our first PC. I think it was a pre-owned old beaten Compaq Deskpro 386. We only stopped arguing once we could sit down together and play Civ; one of us at the controls, the others giving advice on what moves to make. I learnt HTML and built my first pages on Geocities and out of necessity: I needed a place to publish my angsty teenage poetry. But people didn’t come to my website for the bad poetry, instead they filled my guestbook with webdesign and HTML questions. He didn’t realise that most of us already spent every recess in the computer halls, chatting over IRC. In order to learn the basics of actual programming (not just HTML), I had to take adult education evening- and summer classes since my school didn’t offer any. After high school I did like many others of my generation: I fell in love with someone I had only met online, who lived on the other side of the world. All to the soundtrack of Savage Garden’s “I Knew I Loved You”. It took all my savings and courage to travel back and forward between Sweden and the US, while studying from a distance. When my boyfriend suddenly passed away in 2001 I had to make drastic changes in my life. I was in the middle of moving, I couldn’t keep up with deadlines or deal with clients, and I was barely able to finish my project managing and programming classes. I had to forget all our plans, start over, and take a desk job instead. Many years later one of my former clients asked if I had tried WordPress. It took me a few months to decide if I liked it or not, partially because I didn’t know PHP, and because I didn’t have great experiences from trying Joomla and Drupal. I did some customization work and eventually I submitted my first theme to WordPress.org. Of course my theme was a mess and did not even work as expected. But I appreciated that someone took the time to look at my code and explain what I needed to do to fix it and where I could read more. It was very rare to receive such feedback. I joined the Theme Review Team’s mailing list, listening in and learning. I started reviewing themes to learn more and to improve my own themes. For those who do not know what the Theme Review Team does, we test and review the code (every single file) of themes that are submitted to be included in the WordPress.org theme directory. Because I am on the autism spectrum, the structure and patterns of coding languages suits me well. I need both structure and a creative outlet in my life, and coding is therapy, much like a puzzle or a coloring book. I love my once dreaded desk job, because it gives me the opportunity to help people on a different scale than I ever could as a freelancer. Being a volunteer on WordPress.org lets me combine both worlds. I could never have imagined that WordPress would become an important part of my life, that I would spend this much time on it (sometimes up to 20 hours per week), or that I would be asked to be one of the team leads for the Theme Review Team in 2017. Today I honestly don’t know what I would do if I could no longer contribute to WordPress the way I know and am familiar with. It is an essential part of my everyday life. 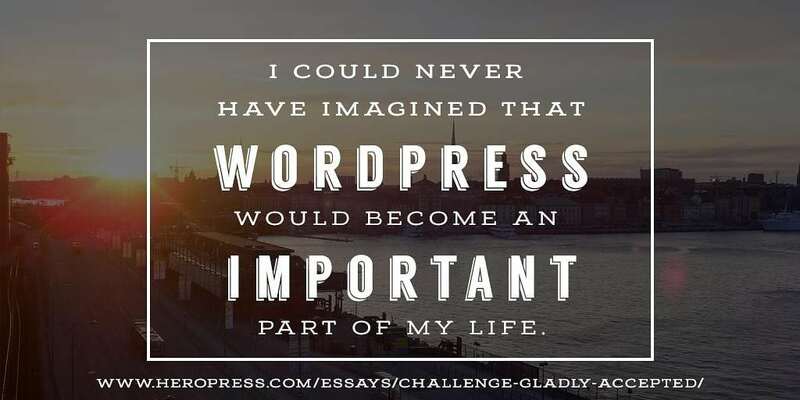 WordPress is also challenging because you can only do so much without interacting with others… And even though I find that difficult, I have had to learn that it is something I need as well. I have to remind myself from time to time that here, I am allowed to be myself, with all my flaws, to contribute as much or as little as I choose, at my own pace. And to be able to contribute and to help others, I also have to remind myself that people are not scary. I was a volunteer online for 6 years before I had the courage to go to my first WordCamp, which took place in my own home town. When I was finally there, I only spoke to 3 or 4 people. My second WordCamp went better, but the experience was still overwhelming. During my third WordCamp, which was WCEU 2017, I helped lead the Theme Review section of the contributor day, having to speak in front of 500 people. The thing is, even when it overwhelms you, this community and its energy is addicting. Everything changes once you go to your first meetup or WordCamp, meeting people who share your interest and passion. The community at large is open and welcoming, passionate, curious and caring. And it is trying to be a safe place for us all. There always seem to be a lot of opinions and even controversy surrounding the Theme Review Team. It is not always easy to handle the pressure and the amount of responsibility that is placed on you because so many people have a financial interest in WordPress themes. As a team lead or moderator, you often have to try to find the least bad solution to many different kind of situations. By the end of September, it is time for the current team leads to step back and welcome our next leads. I am looking forward to the break, but also to see what new ideas they will bring. It takes time to change a system that has been in place for this many years, and truthfully, sometimes it is painfully slow. It has proven difficult to find a system where themes without errors can be added to the directory quickly, and where reviewers can support authors who need extra help. This amazing team of volunteers has managed to reduce the queue time from 7 months down to 8-10 weeks. We still hope to be able to reduce it further, possibly by automating parts of the code review. Finally, the Theme Review Team is open to everyone and always looking for new volunteers. 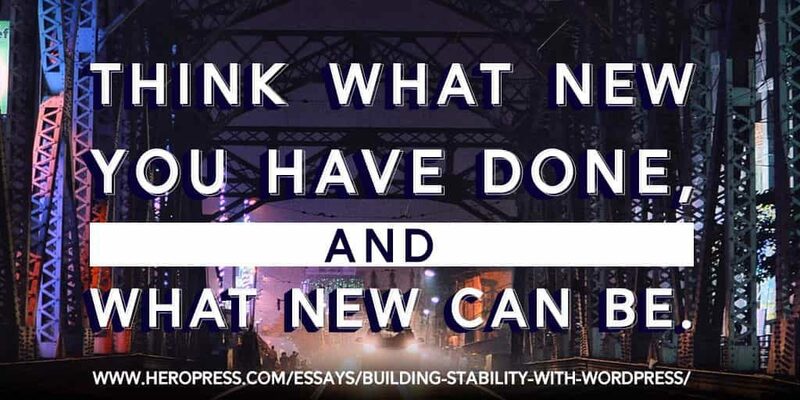 The post Challenge Gladly Accepted appeared first on HeroPress.